USB-C has been great in a lot of ways, but it’s going to be a long time until all of our accessories use the new connector. 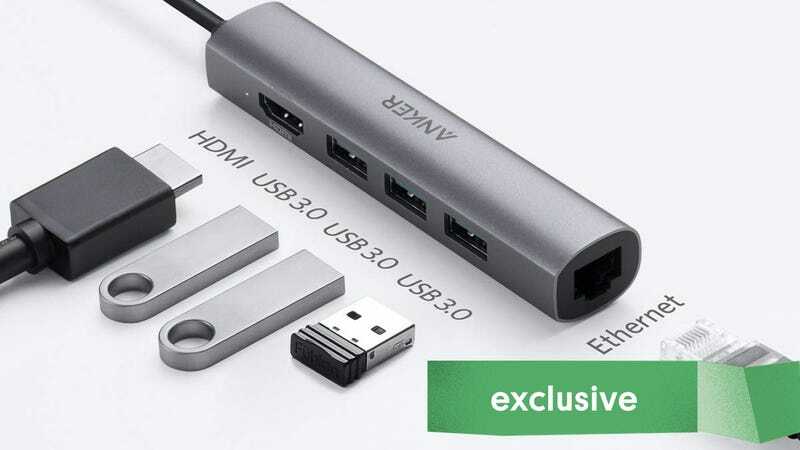 So if you have a laptop, tablet, or even phone whose only physical connection to the outside world is a USB-C port, you’re going to need a dongle. Luckily, this space-saving option from Anker includes three USB 3.0 ports, an HDMI port, and even an ethernet port, and you can add it to your bag for just $36 today, down from the usual $55. You’ll need to clip the 10% coupon on the product page, then enter code KINJACBA at checkout. Just don’t plug in any flash drives if you don’t know where they’ve been. Peyton Manning Endorses Beer, Again, But What Does It Mean?